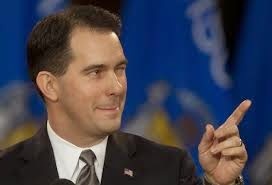 Republicans definitely have distinct good feelings about Wisconsin Gov. Scott Walker as the wrangling continues between the GOP presidential hopefuls. Yes, Mr. Walker is making all the required campaign stops and grassroots visits in New Hampshire, Iowa and other key states - while his reputation and image win over many Republican hearts and minds. “Scott Walker could be a formidable candidate for the Republicans in 2016, combining conservative credentials with a good national profile,” says Kathy Francovic, a YouGov polling analyst. The organization released these numbers on Tuesday. 79 percent of Republicans say Wisconsin Gov. Scott Walker is a “strong” leader.